2 piece stainless steel wire dish strainer with rack. Dishwasher safe. Crockery baskets fit right into the sink to hold dishes and glasses for draining. Their sectional design allows the inside dish rack to be removed creating a basket with a large flat bottom, which can then be used to carry, wash and drain vegetables. 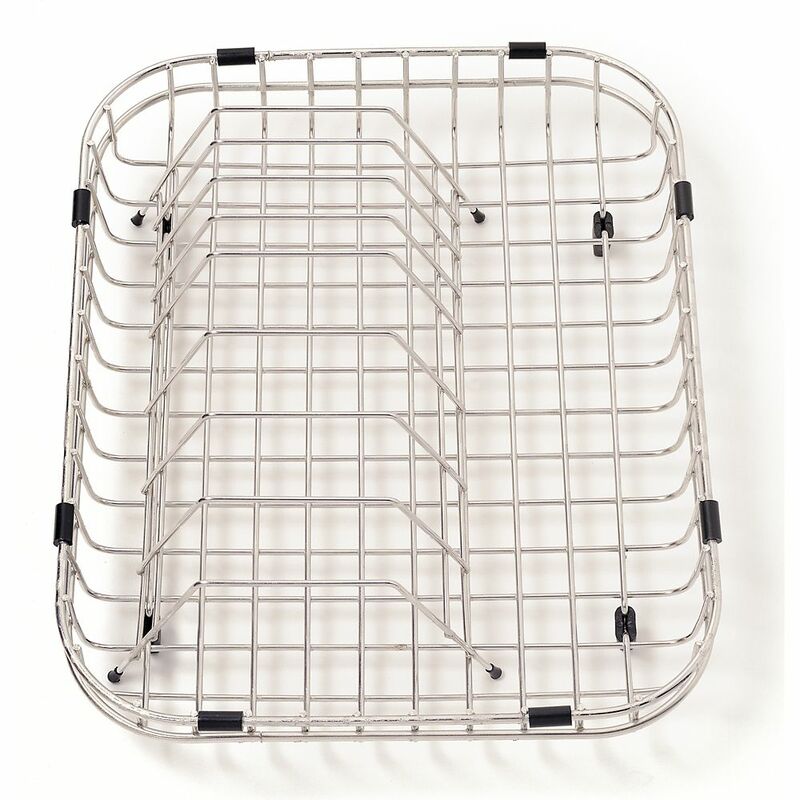 Drain basket 2 piece stainless steel wire dish strainer with rack. Dishwasher safe. Drain basket is rated 5.0 out of 5 by 1. Rated 5 out of 5 by Steeve from Great! A must have! Great to have. Protects your sink. Great quality and looks sharp! Very satisfied.